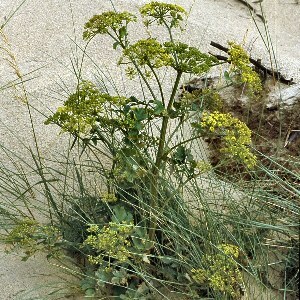 All plants in Northern Ireland are of subsp. sativa - the cultivated subspecies. 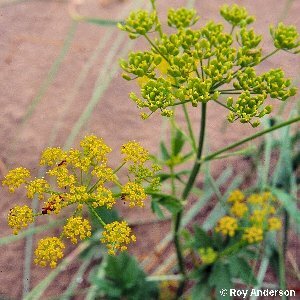 This plant is occasionally recorded in waste ground, marginal land and quarries, and is mostly found as a non-persistent casual derived from locally cultivated parsnip plants or perhaps thrown-out kitchen rubbish. 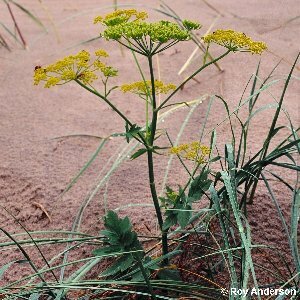 There is, however, a long-established population in sandy ground about Magilligan Point, Co Londonderry, which has been known since the 1830s and was still there in 2003. 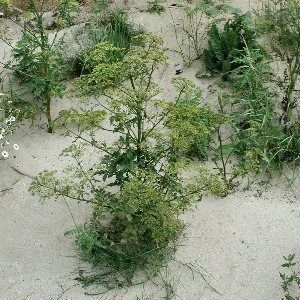 All names: Pastinaca sativa L.; Peucedanum sativum (L.) Benth. ex Hook.f.